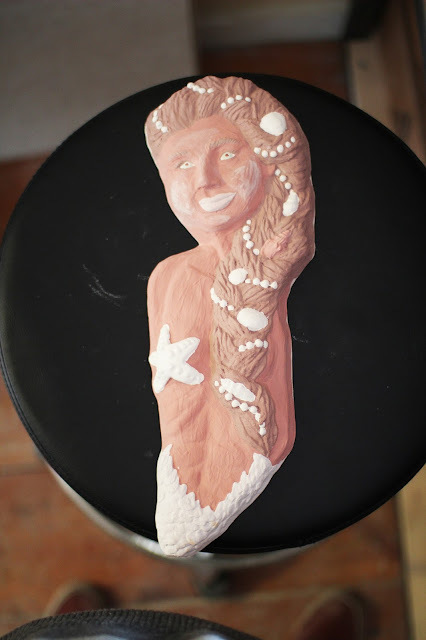 Testing Glazes On A Large-Format Mermaid! Earlier this week we posted an entry in our blog talking about an upcoming glaze firing and sharing a few photos! One of the photos, in particular, was a shot of the torso and head portion of the new large-format Mermaid (photo shown below). Please keep in mind, that photo was taken before the glaze firing! It looks pretty creepy, doesn't it? 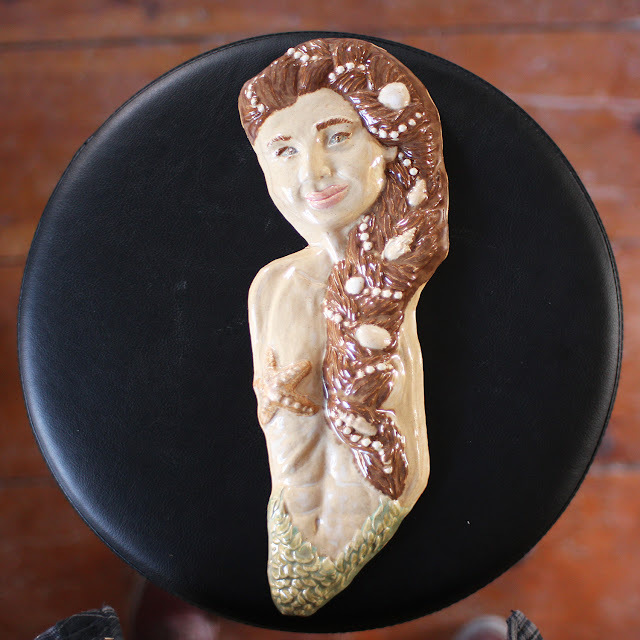 Well, the kiln had cooled off enough for us to take the pieces out earlier this morning and we'd like to show the mermaid! Quite the difference, isn't it? With a few more glaze tests this piece should be ready to go! Soon we'll be able to show the full mermaid, tail and all!